Aidan O’Brien became the first man since Fred Darling in 1942 to win both Guineas in the same year on two occasions when Homecoming Queen romped away with the QIPCO 1000 Guineas the day after Camelot took the QIPCO 2000 Guineas. (The trainer won both Guineas in 2005 as well). And although the daughter of Holy Roman Emperor, a 25/1 shot, was perceived as the Ballydoyle stable second string behind third-placed 13/8 favourite Maybe, O’Brien emphasised that she was not in the field as pacemaker, despite her trailblazing role. The nine-length winning margin of Homecoming Queen, a half-sister to top-class Dylan Thomas, has been exceeded only once in the race, in 1859 by Mayonaise, who beat the nearest of three rivals by 20 lengths. The QIPCO 1000 Guineas was Homecoming Queen’s 14th race, and her third of this season. “She improved a ton after her first run this year to win at Leopardstown last month,” said O’Brien, “and in the last couple of weeks she’s been after going into a different zone. All options are now open for Homecoming Queen and for Maybe, who kept on after chasing the leaders on her seasonal debut. Joseph O’Brien, third on 13/8 favourite Maybe and stable companion of the winner, said: “She jumped out of the stalls well and I had a nice position. Newmarket trainer John Gosden saddled the second and fourth in today’s QIPCO 1000 Guineas, Starscope and The Fugue. He said: “They have both run great but full marks to Ryan (Moore for his ride on the winner Homecoming Queen). “It was a good-class race. Starscope finished really strongly to be second, while The Fugue had a lovely position but got badly struck into on her off-hind and lost her position - went a long way back - and then has run on again. We will get the vet to look at that. “The Fugue ran a great race and was probably unlucky not to be closer - it was pretty rough out there. The winner has done it well in a good time. “We are thrilled with both of them. They both ran at the end of last season on the same day in maidens here. They both ran great then and have since trained well. 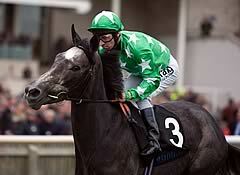 Starscope ran well in the Nell Gwyn while The Fugue has only raced once before today. 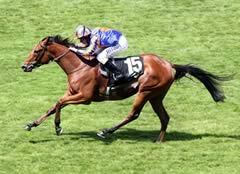 Jimmy Fortune, the rider of the Starscope, added: “She has run a real good race but I never saw the winner! A few of us might of thought she was a pacemaker! 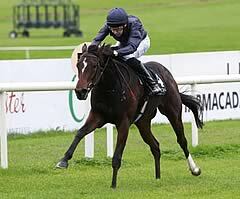 William Buick partnered The Fugue: “I was very happy with her. She has run really well and must have been the most inexperienced runner in the field. Ger Lyons, trainer of Lightening Pearl, added: “We learnt nothing from that. She carried us well to the six pole but then nothing. If we had gone well to the seven pole, we would have learnt something. “You can’t say she didn’t stay - I just think she ran too rank for that. I didn’t like the way she was sweating in the paddock before the start and then the delay at the start didn’t help, but that was the same for everybody. Jim Crowley, rider of the 15th Moonstone Magic, said: “She was a little bit disappointing. I was outpaced from the word go and it was quite rough. It is with great sadness that Newmarket Racecourses reports that Gray Pearl had to be put down prior to the start of the QIPCO 1000 Guineas. She sustained an injury in the stalls and a joint decision was made between the racecourse veterinary surgeon Simon Waterhouse and Chris Hammond, the attending BHA veterinary officer. Hammond confirmed: “Gray Pearl went down in the stalls and incurred an injury in the process. “On examination by the racecourse vet, it became evident that she had lost the use of her hind legs and was suffering from an apparent spinal chord injury. “To minimise distress to the filly, a decision was made to have her put down on welfare grounds. The winner Homecoming’s Queen top speed during the QIPCO 1000 Guineas was 39 miles per hour between the seven-furlong pole and five-furlong marker. She led all the way and her fastest time for a furlong was 11.52s from the seven-furlong pole to the six-furlong marker. Site dedicated to the first three year old Classic of the British flat racing season. Includes information on past winners, entries, runner form, trainer and jockey stats and latest betting odds and market movers.